EBC Brakes have become the largest manufacturers of disc brake pads in the world and are worldwide leaders in motorcycle road and race brakes. They have developed a range of brake pads for every aspect of motorcycle braking for CCM Motorcycles. "TT" series with carbon graphite are perfect for street and moto-x use. "R" series heavy duty moto-x pads have become an after market standard offering high durability, high resistance to contamination by mud, water, sand and grit etc. FA organic series are a superb all round value-for-money replacement for all levels of motorcycle and are still extremely popular with many riders who prefer the "feel" of organic pads. FA Series Double-H pads benefit from the highest friction HH rating for maximum stopping power, sintered copper alloy like original pads for longer life and perfect braking under all riding conditions; wet, dry, hot or cold. We have listed the brake pads for your motorbike, simply decide what compound you want, and whether you want front, rear or both. 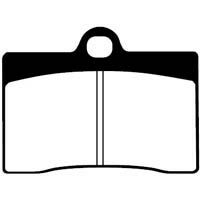 If your bike is a twin disc model, then both pads sets are included. EBC Front Brake Pads (FA86) and Rear Brake Pads (FA54) for CCM CXR 125 (2007 to 2009) Available in either:- 'FA Kevlar' Series, 'HH' Sintered Series or 'TT' Series. 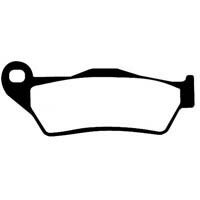 EBC Front Brake Pads (FA86) and Rear Brake Pads (FA54) for CCM CXR 230 (2007 to 2009) Available in either:- 'FA Kevlar' Series, 'HH' Sintered Series or 'TT' Series. 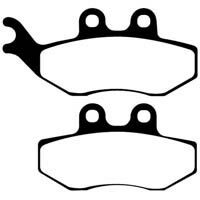 EBC Front Brake Pads (FA95) and Rear Brake Pads (FA213) for CCM CR 40 Cafe Racer (2007 to 2008) Available in either:- 'FA Kevlar' Series or 'HH' Sintered Series. EBC Front Brake Pads (FA194) and Rear Brake Pads (FA213) for CCM SR 40 Street Scrambler (2007 to 2009) Available in either:- 'FA Kevlar' Series or 'HH' Sintered Series. EBC Front Brake Pads (FA181) and Rear Brake Pads (FA208) for CCM R35 / R35S (2007 to 2009). Available in either:- 'TT' Series or Sintered 'R' Series. EBC Front Brake Pads (FA181) and Rear Brake Pads (FA208) for CCM FT 35 S (2007 to 2009). Available in either:- 'TT' Series or Sintered 'R' Series. 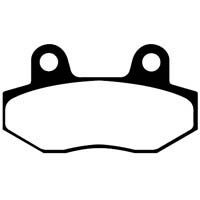 EBC Front Brake Pads (FA181) and Rear Brake Pads (FA208) for CCM 404 E / DS (2003 to 2004) / CCM 404 DS (2007 to 2009). Available in either:- 'TT' Series or Sintered 'R' Series. 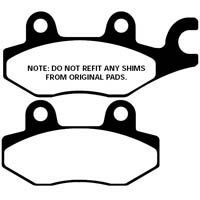 EBC Front Brake Pads (FA181) and Rear Brake Pads (FA208) for CCM R45 (2007 to 2009). Available in either:- 'TT' Series or Sintered 'R' Series.